We must invest in our nation’s infrastructure including our airports, roads, bridges, and waterways that are vital to the movements of people and goods across our country. As a member of the House Transportation and Infrastructure Committee, I have been working to address the infrastructure challenges facing Ventura County. Congresswoman Julia Brownley (D-CA), a member of the Select Committee on the Climate Crisis, today introduced legislation to take an important step forward in addressing climate change by helping cities and states across the country transition to cleaner public transit systems, including mandating that all new buses purchased with federal funds be zero-emission by 2029. 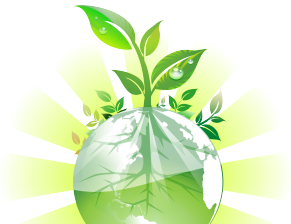 The transportation sector is the single largest source of greenhouse gas (GHG) emissions, contributing 28 percent of the United States’ total GHG emissions. Today, Congresswoman Julia Brownley (D-CA) and Congressman Scott DesJarlais (R-TN) announced that they will continue to serve as the co-chairs of the Congressional Range and Testing Center Caucus in the 116th Congress. The Caucus serves as a forum to educate Members of Congress about Department of Defense major range and test facilities, like Naval Base Ventura County and Arnold Air Force Base, and advocate for policies that support these critical national security assets. Today, the U.S. House of Representatives passed the Natural Resources Management Act (S. 47), which includes a bill co-authored by Congresswoman Katie Hill (D-CA) and Congresswoman Julia Brownley (D-CA) to establish a memorial and national monument for the 1928 Saint Francis Dam disaster. California Senators Dianne Feinstein and Kamala Harris introduced the bill in the Senate, which was incorporated into S. 47 and passed by the Senate on February 12. With today’s House passage, the legislation goes to the President’s desk for signature. 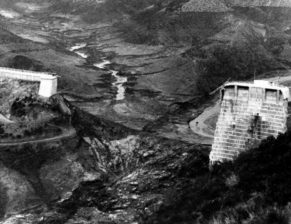 More than 400 people perished when the dam burst on March 12, 1928, making this the second deadliest tragedy in California state history, behind only the 1906 San Francisco earthquake. Congresswoman Julia Brownley (D-CA) today introduced two pieces of legislation that would increase local infrastructure investments, improve safety, create jobs, and reduce congestion. Specifically, the first bill would eliminate tax subsidies for Big Oil and redirect those funds to the Surface Transportation Block Grant (STBG) program, which helps states and localities fund infrastructure projects. The second bill would increase the portion of the STBG program that goes directly to local communities, like Ventura County. Today, Congresswoman Julia Brownley (D-CA) introduced the National Multimodal Freight Network Improvement Act, which would require the U.S. Department of Transportation (DOT) to include the Port of Hueneme and other ports with annual cargo value of $1 billion or more on the National Multimodal Freight Network. The Network was established to strengthen economic competitiveness, reduce congestion and bottlenecks, and improve the safety, security, efficiency, and reliability of freight transportation. 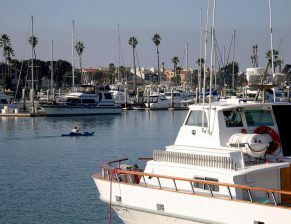 There is concern that the Port of Hueneme and other major ports will be excluded from the Network — contrary to original Congressional intent — if only cargo weight, and not value, are considered for inclusion. Today, Congresswoman Julia Brownley (D-Westlake Village) voted to pass the Emergency Disaster Supplemental Appropriations Act, which provides $12.14 billion in additional assistance to communities that faced disasters last year, including the Woolsey Fire and Hill Fire. Congresswoman Julia Brownley, D-Westlake Village, has hit the ground running as part of the new Democratic majority in the U.S. House with several new bills aimed at addressing local and national issues. Today, Congresswoman Julia Brownley (D-Westlake Village) introduced the Honoring Our Fallen TSA Officers Act, legislation that would ensure that Transportation Security Administration (TSA) employees killed in the line of duty receive the same death benefits that other federal law enforcement officers already receive. 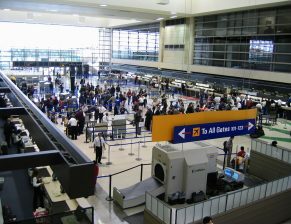 Brownley first introduced this bill in the 113th Congress in response to the tragic shooting death of TSA Officer Gerardo I. Hernandez at Los Angeles International Airport (LAX) on Friday, November 1, 2013. Today, Congresswoman Julia Brownley announced $14.8 million in federal funding for U.S. Army Corps of Engineers projects in Ventura County at Channel Islands Harbor, Ventura Harbor, and the Port of Hueneme that will strengthen our local infrastructure. Today, the U.S. House of Representatives passed the House-Senate conference agreement to reauthorize the Federal Aviation Administration (FAA) (H.R. 302), including provisions authored by Congresswoman Julia Brownley (D-CA) to support veterans and to curb human trafficking. The bill also includes critical funding for our nation’s aviation system and helps address airplane noise in our community. It is expected to be passed by the Senate and signed into law in the coming days. Today, the U.S. House of Representatives passed the Disaster Recovery Reform Act. This bill, which is expected to pass the Senate and be signed into law in the coming days, will help communities better mitigate against and respond to disasters like wildfires and earthquakes. As a member of the House Transportation and Infrastructure Committee, Congresswoman Julia Brownley (D-CA) has been fighting for this legislation to better prepare for and prevent disasters like the Thomas Fire. Congresswoman Julia Brownley (D-Westlake Village) today voted in support of the House-Senate conference agreement to reauthorize the Federal Aviation Administration (FAA) through 2023 and help reduce airplane noise concerns in Ventura County and across the country. The bill passed the House of Representatives today and is expected to be passed by the Senate and sent to the President’s desk for signature in the coming days. Congresswoman Julia Brownley (D-CA) welcomed passage yesterday in the U.S. House of Representatives of new federal funding for projects in Ventura County. The funding, which comes in the Fiscal Year 2019 Energy and Water, Legislative Branch, and Military Construction and Veterans Affairs Appropriations Act (H.R. 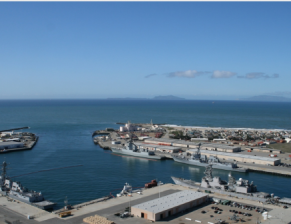 5895), supports dredging at Channel Islands Harbor and Ventura Harbor, “donor port” funds for the Port of Hueneme, and new infrastructure projects at Naval Base Ventura County. Today, Congresswoman Julia Brownley (D-Westlake Village) announced that the Southern California Regional Rail Authority (Metrolink) will receive $9.9 million in federal grant funding from the U.S. Department of Transportation to upgrade its Positive Train Control (PTC) system in Ventura County and throughout Southern California to further improve rail safety. PTC systems help prevent collisions and derailments. This announcement comes ahead of the 10-year anniversary of the Metrolink crash in Chatsworth that took place on September 12, 2008 and killed 25 people, including 21 Ventura County residents. Today, Congresswoman Julia Brownley (D-Westlake Village) announced that the Port of Hueneme received $360,000 for security enhancements through the Department of Homeland Security’s Fiscal Year 2018 Port Security Grant Program (PSGP). 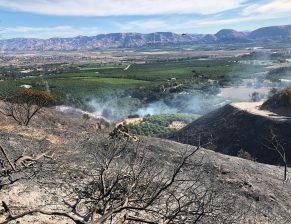 This community was tested during the Thomas Fire – but from first responders and emergency personnel, to the many organizations and volunteers who supported the evacuation and relief effort, Ventura County came together to support friends and neighbors in need. While this area is on the road to recovery, we must remain vigilant and start planning ahead because we don’t know when another disaster may strike. But we need the Senate’s help to do that. Congresswoman Julia Brownley released a statement on BMW’s announcement that it is raising prices on American manufactured automobiles and increasing production in China due to President Trump’s trade war.